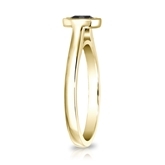 Certified 14k Yellow Gold Bezel Black Diamond Solitaire Ring 0.75 ct. tw. 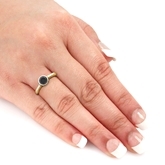 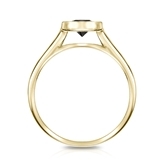 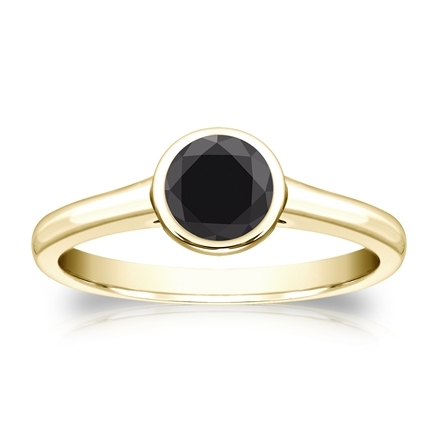 This dazzling solitaire ring features a 0.75 ct. total weight certified round black diamond in a 14k yellow gold metal and secured with bezel setting. 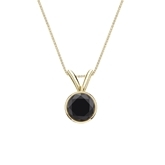 14k Yellow Gold Bezel Certified Round-cut Black Diamond Solitaire Pendant 0.75 ct. tw.